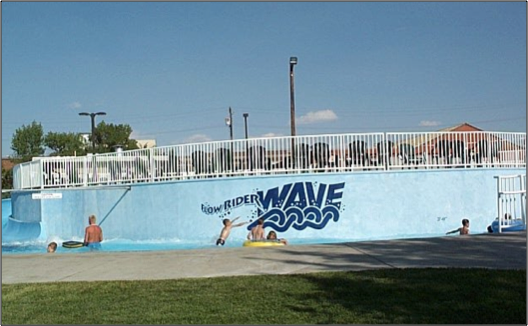 TD&H Engineering provided development services for the Flow Rider attraction at the Mitchell Pool in the City of Great Falls, Montana. 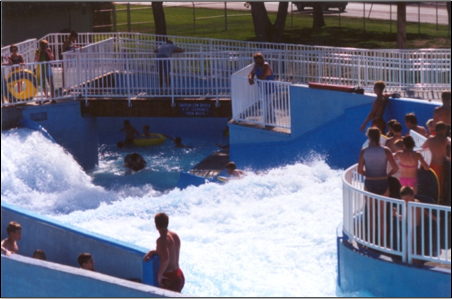 The Flow Rider is an interactive skill ride in the water-park world. It offers the thrill of surfing in a compact, flexible and safe design. Powerful pumps shoot thin sheets of water over a fabricated wave form creating a perfect perpetual wave. 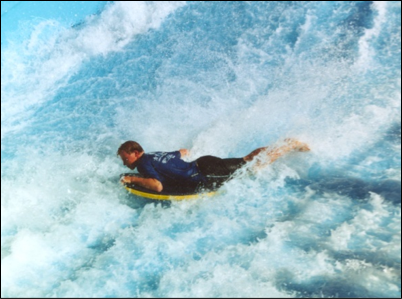 Riders on body boards slide down, carve a turn, and ride up the simulated wave surface. Variations in the velocity and volume of water provide a wide range of skill and activity levels. Also included in the facility is the “Lazy River” and Deep Flow Channel. TD&H Engineering provided site layout and grading, water and sanitary services design for the pool and filter building, storm sewer design, structural design, and construction administration and inspection.